We want as many individuals and group organisers as possible to complete the survey so we have a large sample to analyse and give reliable results. Please complete the survey yourself and ask other people you know if they would be willing to do it as well. All information provided for this survey will be kept strictly confidential. Would you like to receive our free Left Handers Club newsletters? Please select the group that is closest to yours. If there is not an appropriate choice, You can select "Other" and enter a name for your group in the box that will display below. Do you think left-handers in your group have any advantage or disadvantage compared to right-handers in the group? 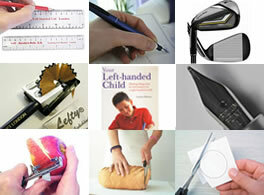 What is it that you think gives left-handers this advantage or disadvantage in your group? Do you think there are more or less left-handers in your group than the 10% population average? 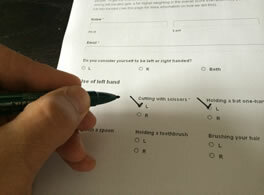 We just need to check you are a human so we can avoid lots of automated bots spamming our survey! Please type the words you can see into the box. If you can't read them, click the refresh button (top of the 3 blue buttons on the right) to get some new ones. I use my mouse with my right naturally, I helps the person setting up my desk, but I have observed other left handed co-workers in the past experiencing difficulty with the tech people when it came to moving the computer and mouse on the left side of the desk. They are usually irritated with the extra work.